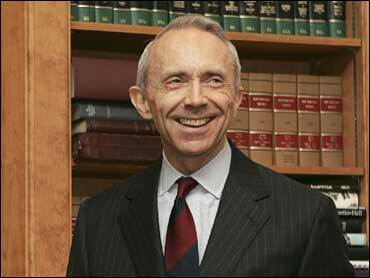 After 18 years in a city he loved to hate, Justice David H. Souter can finally bid Washington farewell. For each of those years, Souter worked seven days a week through most of the Supreme Court's October-to-July terms, staying at his office for more than 12 hours a day. His lunch most often consisted of yogurt and an apple eaten at his desk; his supper a quickly prepared late-night meal at the apartment he rented a few miles from work. He once told acquaintances he had "the world's best job in the world's worst city." "When the term of court starts I undergo a sort of annual intellectual lobotomy and it lasts until the following summer when I sort of cram what I can into the summertime," Souter said wryly during a rare public speech in March. The comment drew laughter from the audience of humanities teachers at the American Academy of Arts and Sciences. A history buff renowned among friends and former clerks as an excellent storyteller with a wonderful sense of humor, Souter headed for his native New Hampshire as soon as he could at the end of the court's term every year. "He doesn't fit what I think most people would assume, that he's Silent Cal, the Calvin Coolidge-type New Englander," said Meir Feder, a New York lawyer who worked for Souter during his first Supreme Court term. Souter was appointed to the court in 1990 by President George H.W. Bush after just a few months as a federal appeals court judge, but with many years experience as a prosecutor, attorney general, trial judge and state Supreme Court justice in New Hampshire. Virtually unknown outside his home state, he was viewed warily both by liberals and conservatives. Liberals feared that his appointment by an abortion opponent would help spell the end of the guarantee of abortion rights. It didn't; Souter in 1992 voted to uphold Roe v. Wade. In the same year he also voted to maintain the court's longtime ban on officially sponsored prayers in public schools. Conservatives worried that in his praise for the liberal lion he succeeded, Justice William Brennan, Souter was charting a much more moderate course than they would have liked or expected from a Republican nominee. Eighteen years later, Souter was firmly among the court's liberals. He resisted the spotlight that has attracted liberal and conservative justices alike. "He doesn't believe in overexposure," said Thomas Rath, Souter's longtime friend from New Hampshire. Of the justices who occupied the high court's middle ground, Souter was the one most likely to challenge, in exchanges of written opinions, the aggressively conservative views of Justice Antonin Scalia. "Souter seems more passionate about taking on Scalia and combating the novelty of Scalia's more restrictive views," George Washington University law professor Mary Cheh once said of him. When writing for the court in 1994 that a state could not create a separate public school district for Hasidic Jewish children, Souter fended off a Scalia dissent in customary fashion. "Justice Cardozo once cast the dissenter as `the gladiator making a last stand against the lions.' Justice Scalia's dissent is certainly the work of a gladiator, but he thrusts at lions of his own imagining," Souter said. Souter was the nation's 105th justice; only its sixth bachelor. Immediately, speculation has swirled over his possible replacements. "Fifteen years of frustrated Democratic nominees has caused quite a back-up of candidates. But the Obama Administration already has offered some serious clues about the sort of person they'd like to try to put onto the court," Cohen writes. Although hailed by The Washington Post as the capital city's most prominently eligible single man when he moved from his native New Hampshire, Souter resolutely resisted the social whirl. "I wasn't that kind of person before I moved to Washington, and, at this age, I don't see any reason to change," the intensely private Souter told an acquaintance. At the American academy, when asked how to approach members of Congress to ask for more money for the humanities, Souter suggested focusing on the history buffs in Congress. But he prefaced his advice with a self-deprecating comment about the failure of judges to persuade Congress to raise their pay. "You should know that I've been on the judicial salary committee for the last couple of years and the lesson to be learned from that is," Souter said, "whatever I tell you, do the opposite."